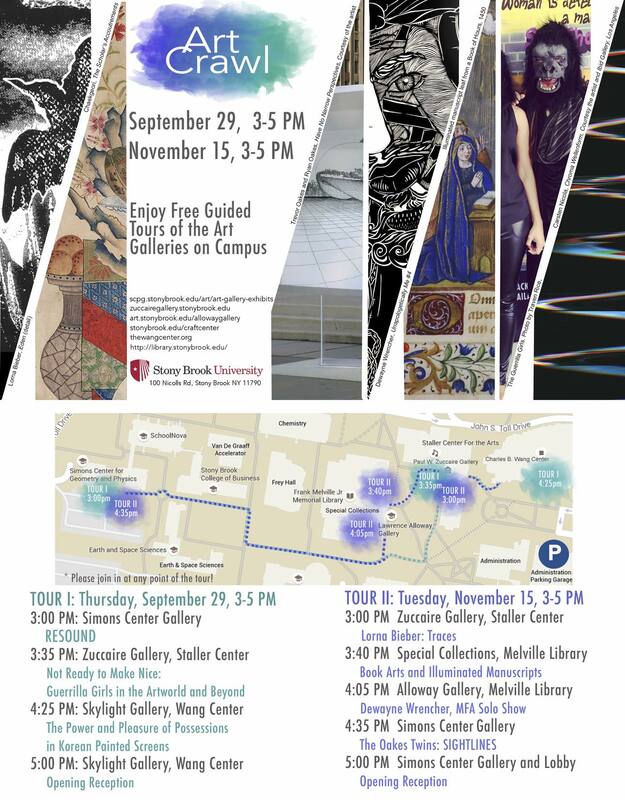 The Simons Center Gallery will be participating in the Fall 2016 Art Crawl, a free event with guided tours of Stony Brook University’s galleries. A variety of art will be exhibited, including work from international artists, Stony Brook students, and artists who work in math and the sciences. This is a two day event. Join at any point in the tours. No registration required. Free and open to the public.